One star review: “Can’t believe I wasted money on this crap. I use this mug every day and want to rate it 5 stars but it still doesn’t support Google Buzz. Emailed the developers 5 times already! 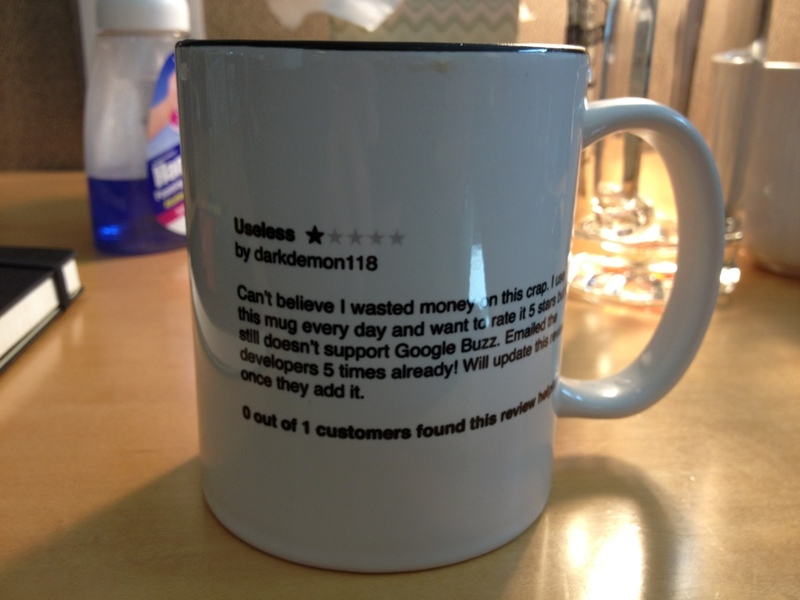 Will update this review once they add it.”Marco Arment, developer of my beloved Instapaper – and, before that, of Tumblr – made this mug based on a real user review. 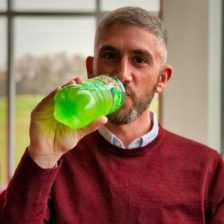 The moral: don’t ever make the mistake of listening to what users say they want.